*Nominated for the 2014 Agatha Award*Agatha Award-winning author G. M. Malliet has charmed mystery lovers, cozy fans, and Agatha Christie devotees everywhere with Wicked Autumn, A Fatal Winter, and Pagan Spring, the critically acclaimed mysteries featuring handsome former-spy-turned-cleric Father Max Tudor.In A Demon Summer, someone has been trying to poison the 15th Earl of Lislelivet. Since Lord Lislelivet has a gift for making enemies, no one--particularly his wife--finds this too surprising. What is surprising is that the poison was discovered in a fruitcake made and sold by the Handmaids of St. Lucy of Monkbury Abbey. Max Tudor, vicar of Nether Monkslip and former MI5 agent, is asked to investigate. But just as Max comes to believe the poisoning was accidental, a body is discovered in the cloister well. G.M. 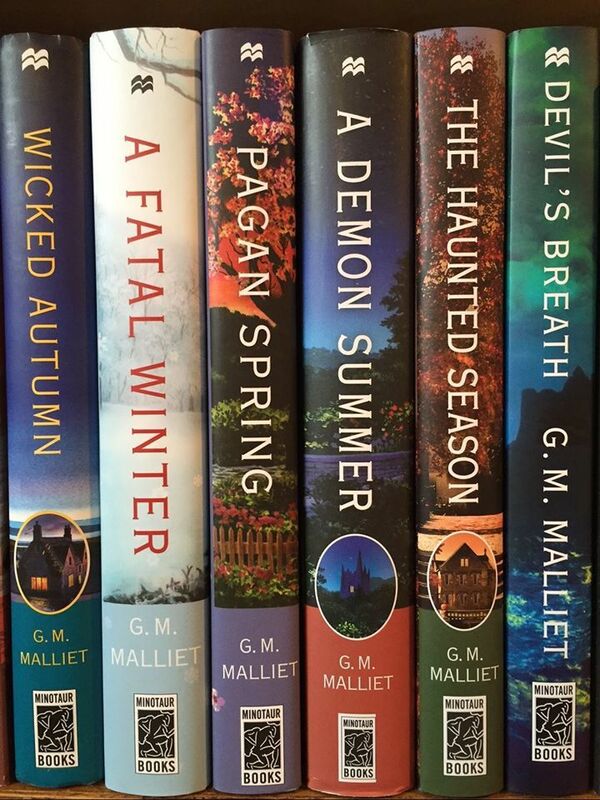 Malliet is the Agatha Award-winning author of the St. Just and Max Tudor mysteries. All of her books are set in the UK, her home away from home. That's her in the dungeon, above. With five Agatha and three Anthony nominations, she's also been shortlisted for the Macavity, Left Coast Crime, IPPY, Daphne, David, and Dilys awards. The audio version of her second novel, read by Davina Porter, was a 2014 Anthony nominee. Her short stories have appeared in several anthologies and in Ellery Queen Mystery Magazine and The Strand. G.M. Malliet's first St. Just mystery won the 2008 Agatha Award for Best First Novel, and was chosen by Kirkus Reviews as a best book of the year. It was nominated for several awards, including the Anthony, the Macavity, and a Left Coast Crime award for best police procedural. She has since been nominated for nearly every major crime-writing award, including the Anthony (audiobook and short story) . Her series from Minotaur featuring a former MI5 agent turned vicar of a small English village debuted in the autumn of 2011. Of the fourth book in the series, Cleveland.com raved: "[Malliet] may be the best mystery author writing in English at the moment (along with Tana French) . She's certainly the most entertaining." She attended graduate school in Cambridge and Oxford; she and her husband travel frequently to the U.K., the setting for her books. WEYCOMBE, also set in an English village, is her first book of dark suspense. The sixth Max Tudor, DEVIL'S BREATH, will appear in April 2017; the seventh will appear in April 2018. WEYCOMBE will appear in October 2017. Visit her at GMMalliet.com, at facebook.com/g.m.malliet, and at twitter.com/GMMalliet.